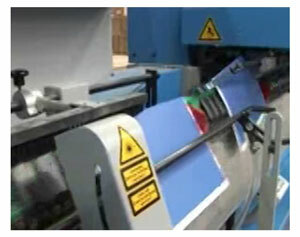 When running thin 4-page signatures on a saddle stitcher inserter pocket or in a gatherer, it can be difficult to control the vacuum so as not to pull double signatures, typically on light, uncoated book stocks. It may sound like a crazy idea, but to veteran saddle stitcher operators it’s nothing new. They already know their saddle stitcher cover feeder is a good alternative to the folding machine for certain types of jobs. Here are three ways you might not have thought about, especially if you’re still learning your way around saddle stitching equipment. A Bindery Success™ reader recently sent us a story that illustrates the sometimes amusing difficulties of troubleshooting bindery work. In this case they were saddle-stitching a book with a reply envelope inserted between the pages. Stitcher operators know it’s a bit of a tricky job. It’s a delicate operation getting the envelopes to feed accurately, to remain in position, and to remain in the book so as not to cause rejects. Yet once the feeder is set correctly it tends to run all day without problems. A recent email caused a bindery flashback, uh…I mean memory…about a piece of bindery equipment that I hadn’t thought about for years. Perhaps it was the stress of running that machine more so than the passage of time that banished the experience to the far corners of my memory. Here’s a bindery trivia question about trimming saddle stitched books that will get you thinking, bring you back to junior high school and probably stir up a little debate. A Bindery Success Blog reader sent us this photo in the hope that with all the experience out there, we could put to rest an argument he is having with a colleague. 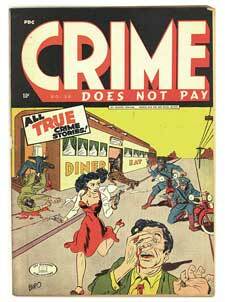 And it could even affect the value of the comic in question! 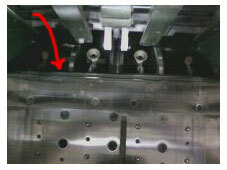 Here’s an ingeniously simple tip on how to eliminate marking problems on a Horizon SPF10 stitcher and folder. It could work on other similar machines too. If you work in a bindery department, it’s safe to say that eventually you’ll have a job with a marking problem, especially on coated, matte or dull coated papers. 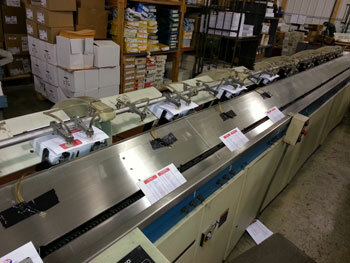 It doesn’t matter what kind of collator, stitcher, folder or other bindery equipment you’re running. We’re always stretched to the limits of machine, material and labor! One of the drawbacks to trimming thick saddle-stitched books is that it’s nearly impossible to get a perfect trim on all three sides. 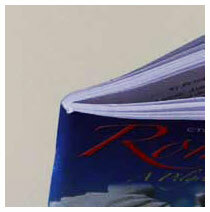 Usually the head and foot of the spine of the book will tear or nick during the trimming process. There is simply no way to prevent this since the area near the spine has nothing to support it in the trimmer or cutter. Whenever I watch the countless moving parts on saddle stitching and perfect binding lines, I’m amazed that all those folded sheets of text and cover make it to the end without marks, scratches and scuffs. Well, most of the time they do.